I like you have so enjoyed watching all of the ALS Ice Bucket challenge videos. They have filled my Facebook feed and have brought many smiles to my face. I love supporting a cause and think ALS is one of the most worthy charities to give to this year. However there is another charity I love being associated with and that’s the Marietta Mutt Strutt. This year’s Marietta Mutt Strutt is taking place on Saturday, September 6 from 10 AM to 3 PM at the First United Methodist Church in Marietta. I am proud to say Fleurenasci will be taking part in this great event. This event is being held to support and raise awareness of Sweetwater Mission, a nonprofit that has been helping families with food, clothing, job training and more since 1968. Sweetwater provides, on average, two tons of food a day for those in need – every day, 365 days a year! Also look for beautifully handcrafted items for sale at the Mutt Strutt, made by the participants in Sweetwater’s newest artisan program for the formerly chronically homeless. The group’s mission since 1968 has been to prevent hunger and homelessness. They help stabilize families by providing basic needs and transform lives through education and employment opportunities. Visit SweetwaterMission.org to find out how you can help. At Mutt Strutt you can enjoy Bluegrass music with the Cherokee Cut Ups on the main stage, delectable treats from the Cobb EMC Food Truck Spot, Dachshund Races, the Kid Zone with lots of fun activities for all ages, and the Pet Parade and costume contest. Parking and admission are free. There will be more than 60 vendors on hand, including Fleurenasci. There will definitely be something for everyone! And be sure to take your precious pup to the Bone Bar, where nearly 4000 pounds of dog treats are available for you to scoop – and they’re free! Where has summer gone? I truly cannot believe it is time to send the kids back to school on Monday. I am a strong believer in family time so enjoy these last few hours before the madness begins … you know making lunches, afternoon carpools and homework! With the beginning of school comes a brand new month, a month filled with beautiful flowers. 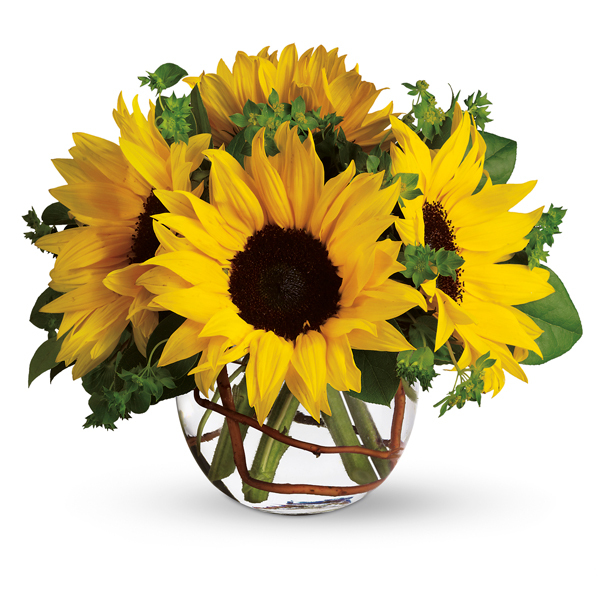 One of the most popular flowers of August is the Sunflower. I love their big, bold coloring and their size makes them easy to spot driving down any highway. What a wonderful site to see. Freesia and Daffodils are also in bloom in August as well as gorgeous purple Irises. I truly love all the colors this month brings in flowers. And remember these vibrant colors also make beautiful beads for our new slider charms! Have you not seen our latest addition to the Fleurenasci collection? Make sure you check out our new slider charms on our Facebook page. They are so fun and make great gifts … perhaps a back to school gift for the new teacher or better yet Mom! Happy August and best wishes to everyone for a fantastic school year.